Did you know for Canada’s 150th birthday that Parks Canada is offering free admission to all Parks Canada locations? 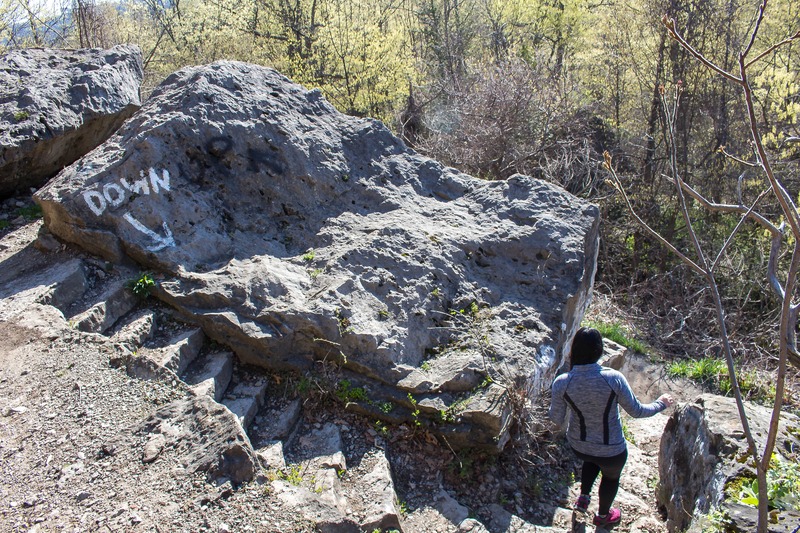 So why not #TakeAHike this year? 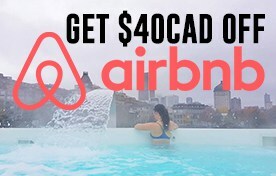 When I heard that for 2017, Parks Canada was giving everyone free admission to their parks, I signed up for two passes right away (one for myself and one for a travel buddy in case we take 2 cars). I’ve been waiting all winter for the snow to clear up and the sun to start shining so I could convince H to pack a car and hit up a few parks but unfortunately his work schedule just did not align with mine. 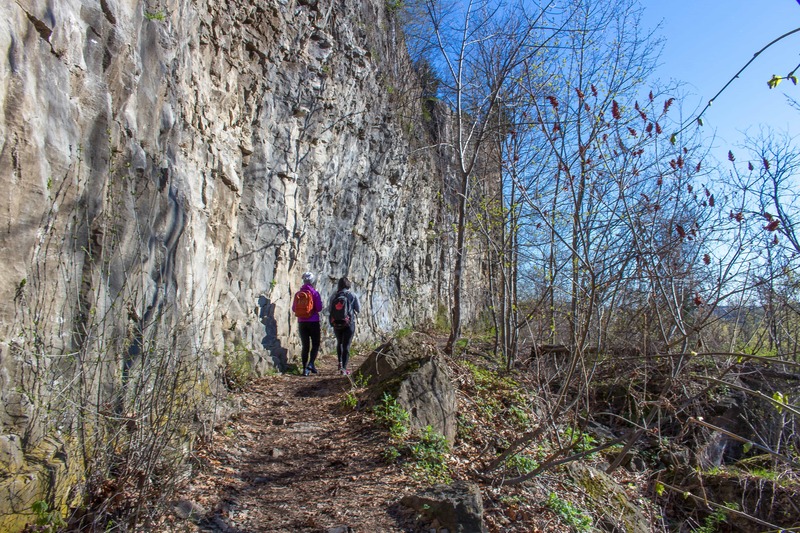 Luckily for me, I had 3 willing gal pals who were eager to hike up some trails with me! As we didn’t have time to go too far and use our Discovery Pass from Parks Canada, we opted for a park closer to us to spend the day hiking in instead. Super early Sunday morning, we had made the drive down to Niagara Glen to do a little exploring. 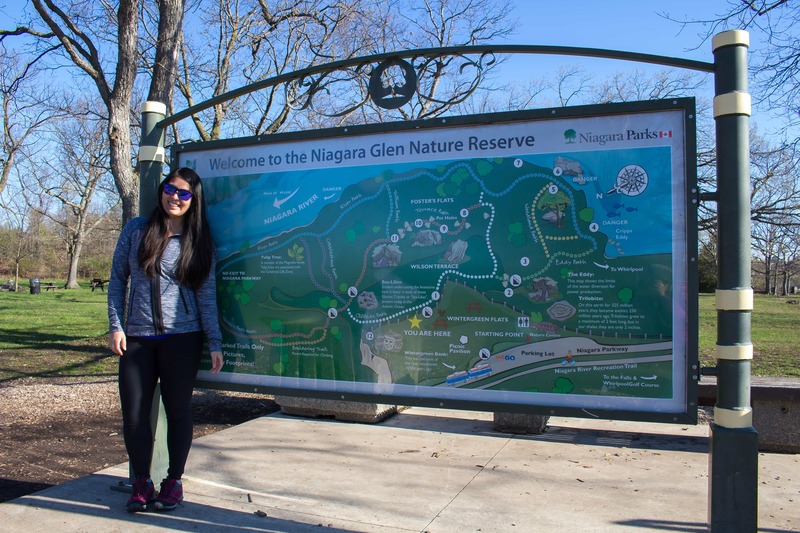 According to Niagara Park’s website, “visitors should be aware that hikes through the Niagara Glen involve an elevation change of over 60 m (200 ft). 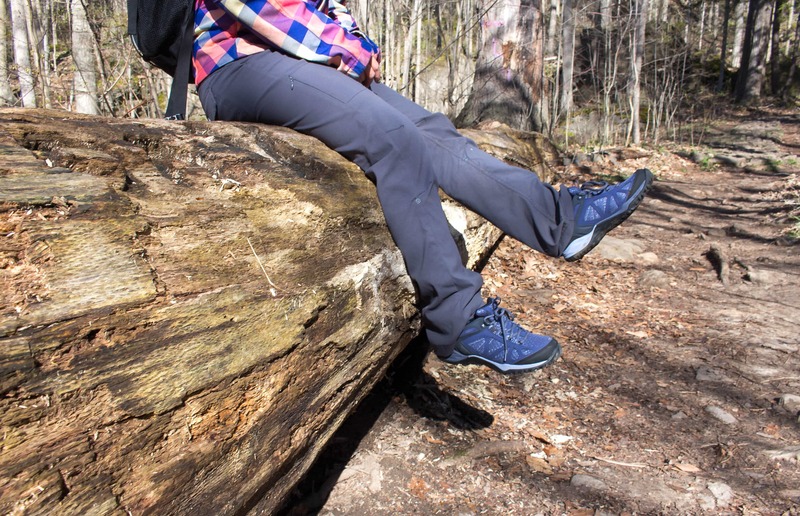 Proper footwear suitable for steep and rugged terrain is required.” So the girls and I decided to put our Siren Sport Q2 to the test in the terrain! 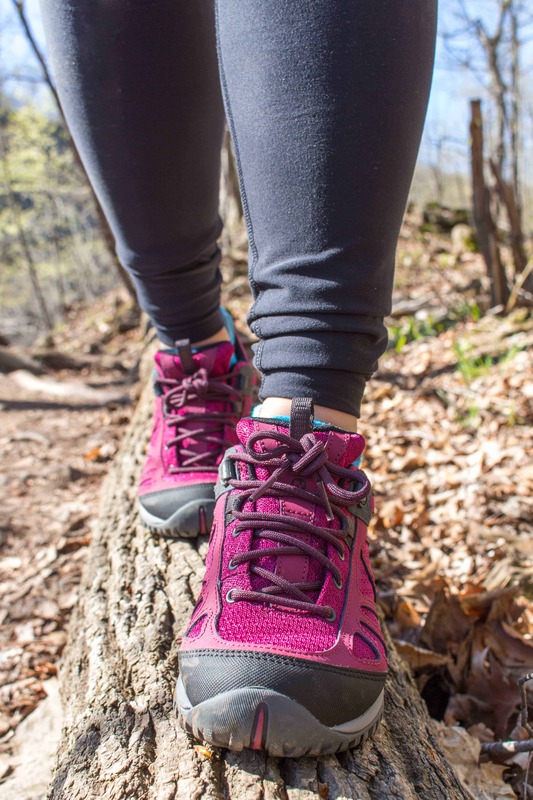 The Siren Sport Q2 is a waterproof hiker that is engineered for the way women move, offering support, alignment, and gender-specific stability! We were excited to see how the shoe would hold up in the terrain. 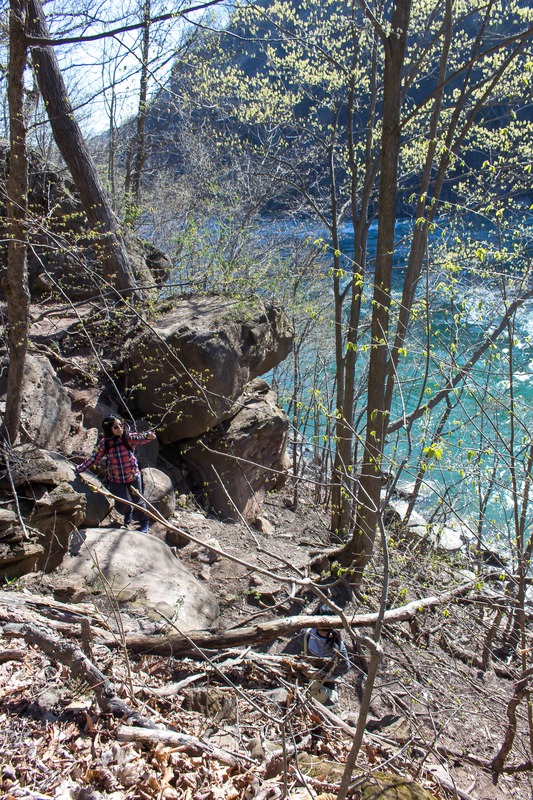 Our hike through Niagara Glen was quite scenic, I wasn’t quite expecting the water to look so teal and was shocked to see jet boats/buses/highspeed water vehicle being tossed around by the water current! The park is also well maintained (not a piece of litter in sight! The way it should be!) and the paths clearly marked. However, they were not over-exaggerating when they described the elevation change. 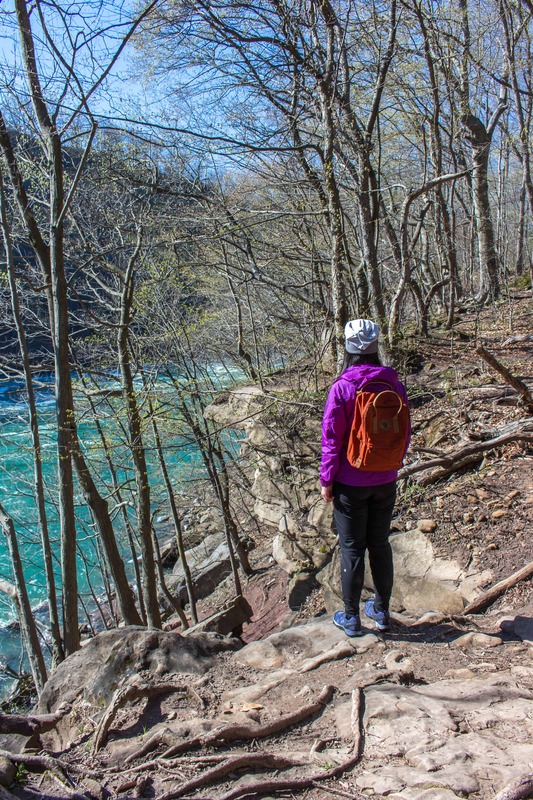 One of the benefits of hiking is building strength in your glutes, quadriceps, hamstrings, and the muscles in your hips and lower legs and boy did I feel it when I was hiking up the path. At one point, it felt like I was doing lunges upwards! It wasn’t until half way through our hike that our little group of 4 split up into 2 groups of 2. One group exploring the lower half closer to the water and the other half exploring the upper area. Of course we totally didn’t think through the whole “so how will we meet up after” part of the hike as all our phones were off ? So how did the shoes perform for us? We loved them! The Siren Sport Q2 has what’s called the M-Select Grip where the shoe’s grip is durable and slip resistant on both dry and wet mix terrains. As the queen of tripping over things and losing my balance, I was made it out without a single misstep/trip/slip! I was also quite happy with how comfortable the shoes were overall. 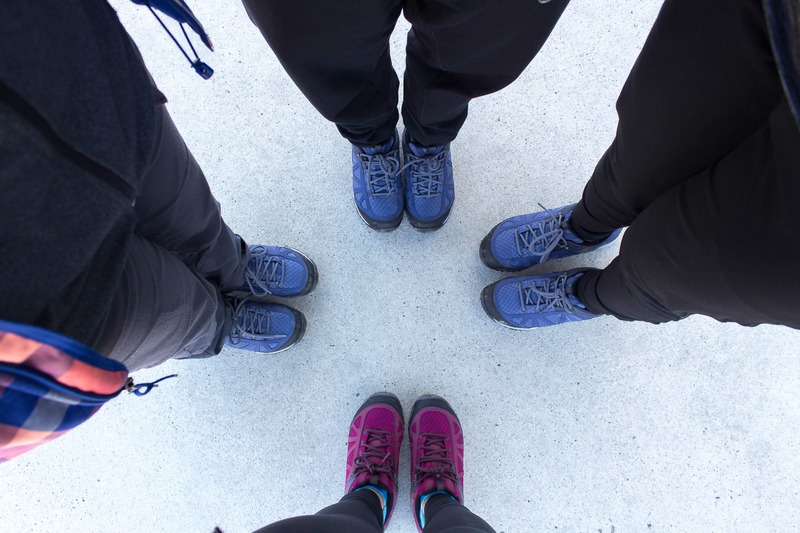 The four of us were without blisters and sore feet at the end of the day and none of us felt like our feet were going to fall off (getting the wrong shoe is no joke when it comes to hiking. Your feet will hate you!). The laces did unlace a few times but after a sturdy double knot, the laces stayed put. The shoes are also supposed to have antimicrobial agents that reduces shoe odour and I’m quite excited for that since hiking shoes can get smelly. After the day of hiking, there was no noticeable smell – so far so good! 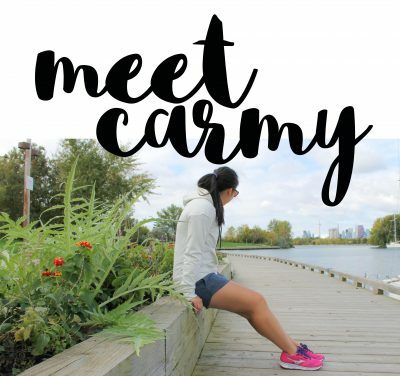 Thoughts on the Siren Sport Q2 from Vicky: Overall, I liked the Siren Q2 sport. They were stable and supportive and didn’t require a period of breaking in. The shoes remained comfortable for the day, both on and off the trails. There are two things to be aware of though. The shoe felt like it fit half a size bigger on me – I don’t think any of the other girls had that issue. I solved that problem by using an insole and thicker socks. The second issue I came across were (or was?) the shoelaces coming undone a few times. It would have been nice if the shoes had come with elastic laces that lock into place. These shoes retails for around $150-170 CAD and can be found at Sport Chek in Canada! I’m definitely looking forward to using my park passes and shoes again as I spend more hiking later this year. 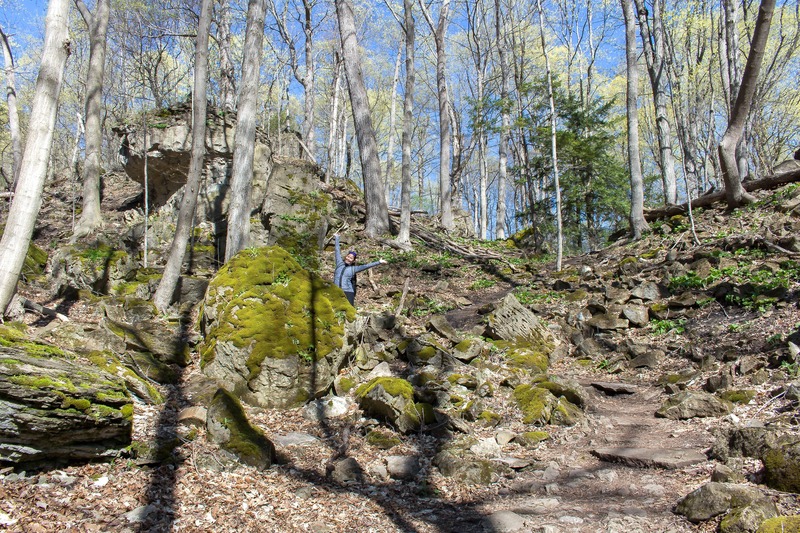 Hopefully you’ll all join me and #TakeAHike! Let’s Chat! 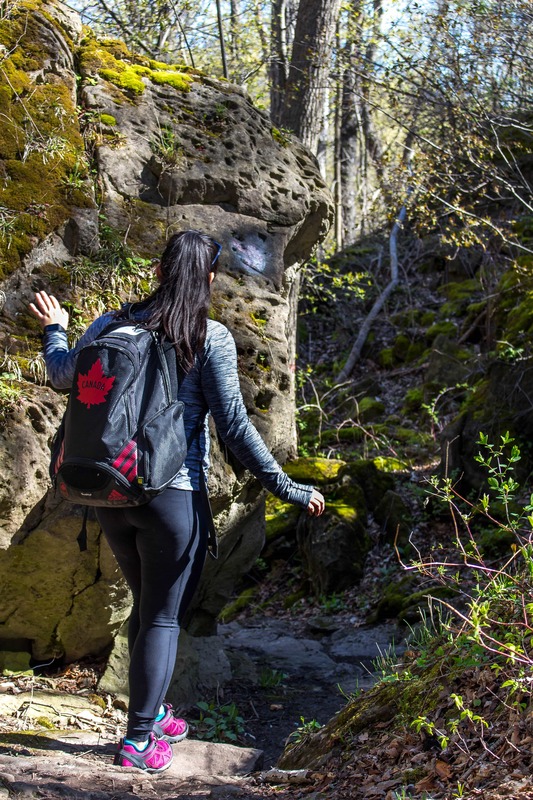 Where is your favourite place to hike? that looks like a great place to hike! The scenery is gorgeous! You do have some great outdoor spaces by you! Wow. Looks like a beautiful hike!! What an awesome hike, thanks for sharing and I love the shoes too! 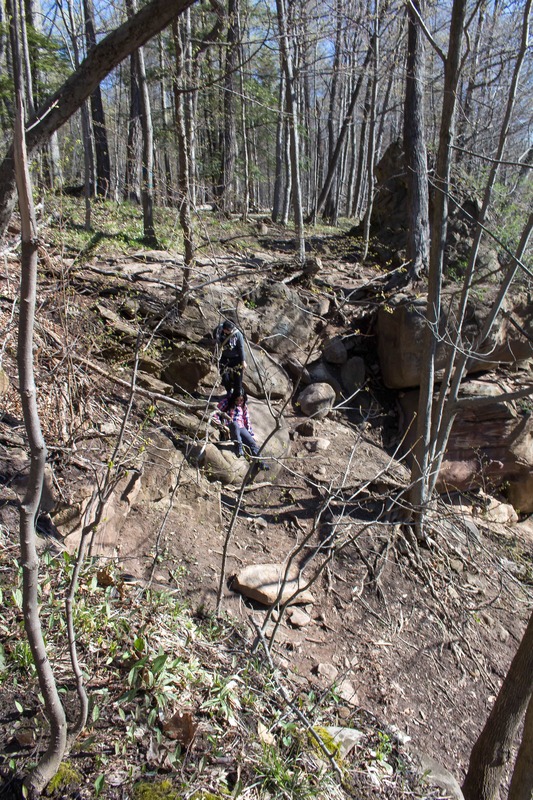 I #HikeDuluth, MN every day (2-4 miles a day up and down the hillsides.) A few years ago I bought Merrills and they did not last 6 months! I haven’t bought them since. I enjoyed reading about your experience but wonder if they will hold up over time. I’d like to hear more after you have more miles on them.